Check out this spring package deal for only €111 per person! 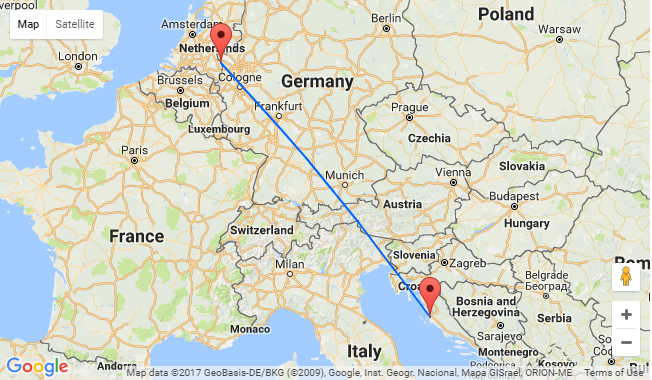 The price includes return flights from Düsseldorf Weeze and stay in a fully-furnished apartment on Ugljan island, close to the beach! 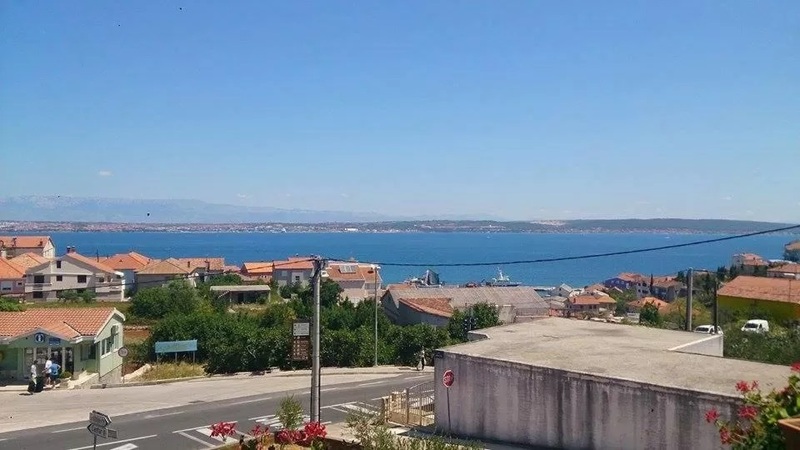 Ugljan, also called the “green island”, is an island in the archipelago of Zadar. 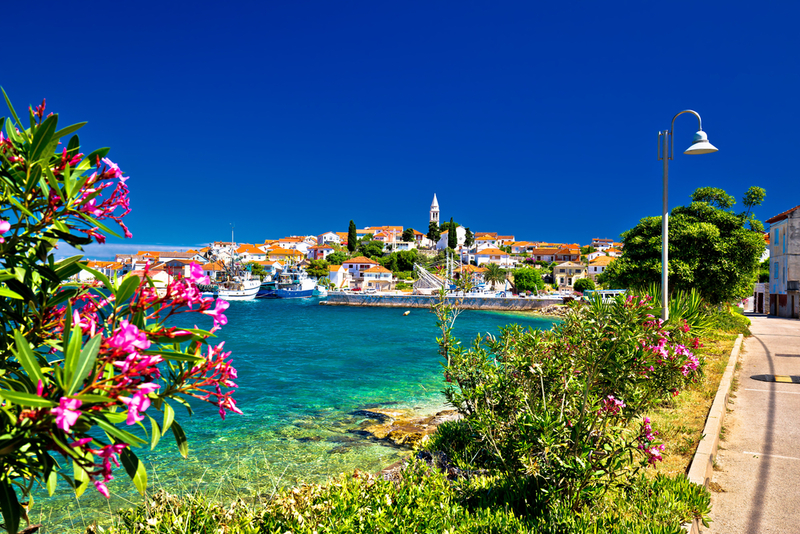 Being covered with the typical Mediterranean vegetation like pine and olive trees and vineyards, this island praise beautiful places and picturesque places like Kukljica, Preko,Ugljan and Kali on the north-eastern side while the other side of the island is mostly steep and uninhabited. To find out more about Zadar and Ugljan Island go to Lonely Planet online shop >>. We picked for you the the sea view Apartman Kali , located in Kali, on a spectacular position in front of the beach. This well-rated apartment offers air-conditioned accommodations with a patio,free WiFi, a garden and a balcony. The apartment has 1 bedroom, a TV, an equipped kitchen with a microwave and a fridge, a washing machine, and 1 bathroom with a shower. 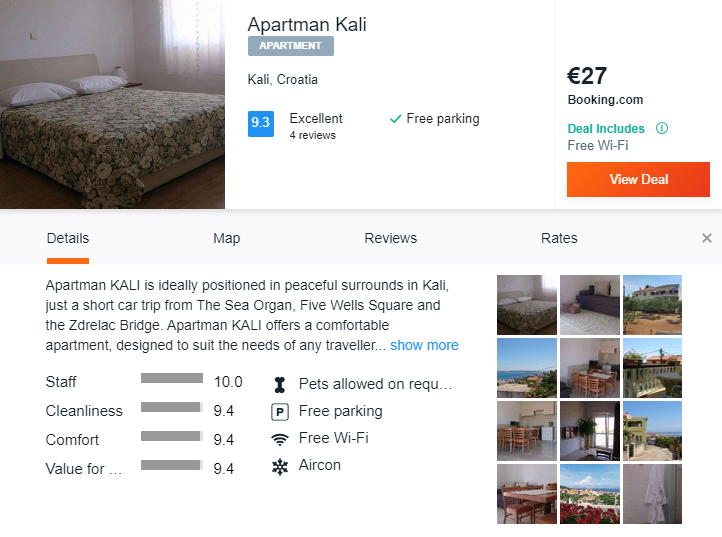 For this package you’ll be staying at Apartman Kali so follow our links and book your vacation!